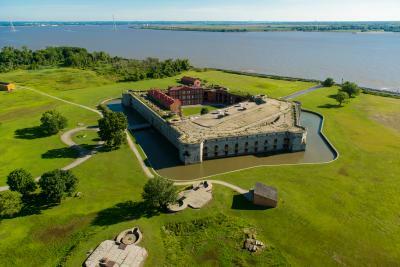 This summer, Fort Delaware State Park will host two prisoner-of-war (P.O.W.) living history weekends. Each historical event begins at 10 a.m. both days, Saturday and Sunday, July 14 and 15, and Saturday and Sunday, August 11 and 12. During these special weekends, Fort Delaware will come alive with re-enactors and historians dressed as they would have during the American Civil War. Visitors will be offered a fascinating and unique look at what life was like at Fort Delaware during the 1860s, including prisoners being processed, prisoner mail call, and firing demonstrations with blank charges of various 19th century weapons. With a number of additional re-enactors from a wide geographic range participating in the days’ events, visitors will see Delaware history as it happened almost 160 years ago. Fort Delaware is a Civil War-era structure built to protect the city of Philadelphia from attack via the Delaware River. During the Civil War, it was also used to house captured Confederates, Union criminals, and civilians arrested for acts of presumed disloyalty. Between the years 1862 and 1865, about 33,000 prisoners spent time at Fort Delaware. P.O.W. Weekends are the fort’s best opportunity to tell their stories. 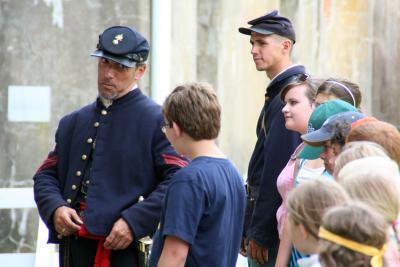 Visitors also can view many of the park’s regular daily events, including seeing the fort’s blacksmith, listening to Civil War folk songs, watching musketry drills, and much more. Admission is $12 for adults, $7 for children, and $11 for those 62 and older or an active military ID. Children under two get in free. Most special programs at the park are free with Pea Patch island admission. The Fort Delaware ticket office and ferry launch is located at 45 Clinton Street, Delaware City, DE 19706. Fort Delaware is regularly open from 10 a.m. - 4:30 p.m. Wednesdays through Sundays. Make plans to visit Fort Delaware as part of a weekend getaway to Wilmington and the Brandywine Valley. Get started with a free visitors guide.